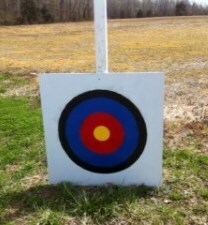 The Rock Springs Archery opened on Leedstown Road in Colonial Beach, what I now playfully refer to as “Attraction Row” since it is also the home to Ingleside Winery, Leedstown Campground, the Westmoreland Berry Farm and the Voorhees Nature Preserve. Situated just next door to the now-defunct Northern Neck ATV Park, RSA offers up lessons, 3-D target practice both in the woods and on an open range, a store, a trophy room and bow and arrow services such as lasering and other maintenance. There’s even a chronograph to check the speed of an arrow shot from a customer's crossbow. G. W. Fisher and his wife Sherry opened the facility in the Spring of 2013 and it has had a healthy following ever since. They even held their first 3D Shoot for those interested in competing on July 20. 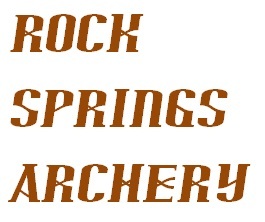 The proceeds were converted into Rock Springs Archery gift certificates and given to the top three place winners of the men’s, women’s and kids (under 12) contests. There was also a thirty shoot thru a wooded course competition in September consisting of four classes, youth up to 12, teens 13 to 17, men’s 18 and up, women’s class 18 and up. Fisher’s familiarity of rifles and bows grew when he served one year in the 101st Airborne and two years in the National Guard. He along with his wife also operates G.W. Fisher Homes and home improvements. His father, Emory, once operated Fisher’s General Country Store at the corner of Routes 3 and 205 where the former Century 21 brick building now stands. If you don’t have your own crossbow or compound bow, don’t worry, they have some that you can use. Stay tuned to our events calendar for info on upcoming shoots.